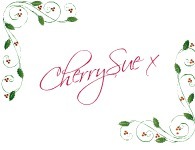 CherrySue, Doin' the Do: CherrySue's Christmassy Giveaways - NYX Fabulousness! CherrySue's Christmassy Giveaways - NYX Fabulousness! Where did those past few weeks go to, eh? Christmas is nearly upon us and I need to get people winning these prizes! In one of my final Christmassy Giveaways, the gorgeous Folks over at Beautyemporium.ie have very generously donated two beautiful products. The NYX Grow Lash Serum and the stunning Morocco palette. If you'd like to get your talons on these for yourself or a loved one, listen up! Of course you can do both, if you're so inclined, for two entries. Competition will close on Wednesday 21st & is open to both UK & Éire. If you're under 18, do please get permission to enter. Good Luck! Liked the pic on FB too! I'm intrigued by the lash serum so count me in. Will like and share on FB too. Oh, Id love to try some NYX! Wow Sue thanks so much, you're fab! Count me please.. great pallette!!! Found you via #bbloggers tonight and what a great blog to find! Now following via Twitter as @sera_mcdaid and also via GFC as The Agoraphobic Fashionista. Ooo...enter me in competition please!! Would love to be entered, please :) My GFC is Chloe, & FB is Chloe Power. Happy Christmas! Hi please enter me into your fab make up giveaway. I am a follow on GFC as sjess82 & a liker on your facebook page too.